Summer weekends tend to involve travel and time spent on the go -- sitting in traffic attempting to get to a cottage, quick jaunts to wine country (countdown to August!! ), extended weekends home to visit family or galavanting to unexplored parts of the city. This weekend, we're heading to upstate New York for a friend's wedding -- a 4 hour drive each way -- meaning countless hours in the car, traffic, border crossings, boredom and hunger. 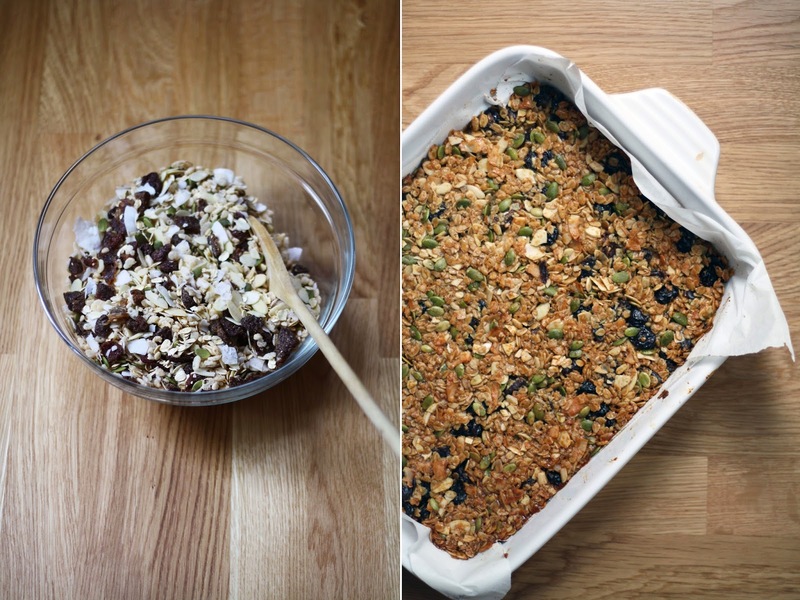 If only this week had allowed me the time to whip up a batch of these granola bars. Oh well, carrot and celery sticks it is. 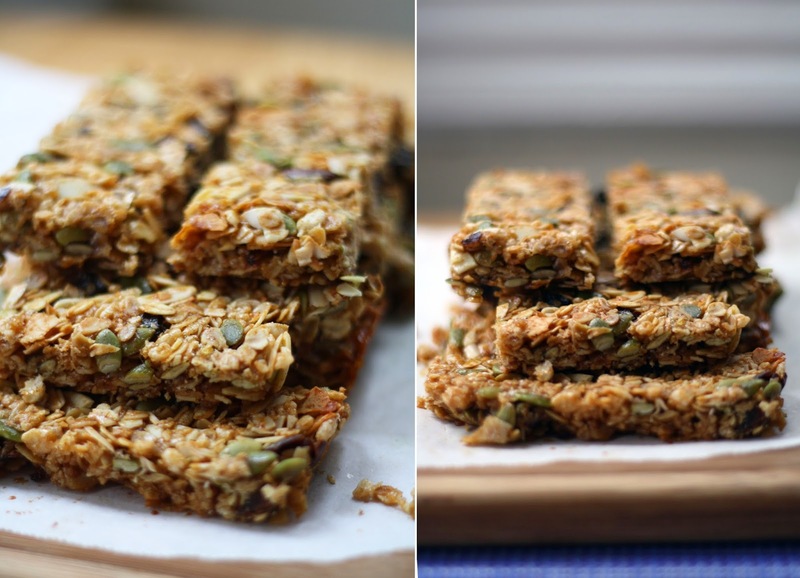 I made a batch of these bars for our trip to Washington - and we loved them. They stayed gooey, crunchy and delicious for the whole week, and having a snack from home was a lovely treat during a week away. They're quick to make and keep for days, so give them a try before hitting the road this weekend! Happy weekend! Place all the dry ingredients in a large bowl and toss to combine. In a separate bowl, mix together the wet ingredients. It will be a lot easier if the almond butter is at room temperature, otherwise, don't give up and work through the mixture. Pour the wet mixture over the dry and stir to combine and coat everything. Transfer to a rectangular (or square) roasting pan, and use the back of a measuring spoon to press the mixture firmly into the pan. Bake for 25-30 minutes, until golden brown. Allow to cool completely before cutting. Store in the fridge, cut in the pan, or individually wrapped.